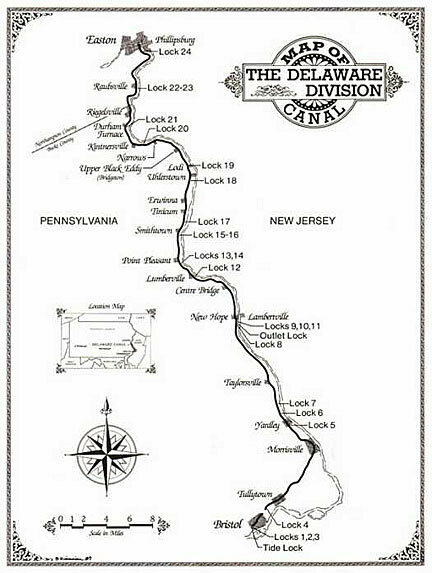 This map originally appeared in the book Delaware and Lehigh Canals, published by the Center for Canal History and Technology. It’s available from Hugh Moore Historical Park and Museums, Inc., P.O. Box 877, Easton, PA 18044-0877.